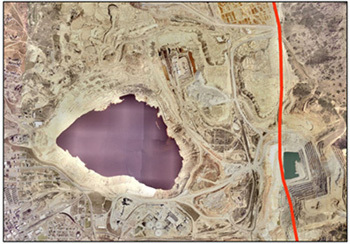 Berkeley Pit, 2006. Click on the image to view a larger version. In March 2002, the Atlantic Richfield Company (ARCO) and Montana Resources (MR) agreed to sign a Consent Decree, a legally binding document that will be entered in federal court. The Consent Decree requires these companies to reimburse EPA and DEQ for past costs, and pay now for future oversight costs. It also guarantees that these companies will perform a number of tasks and provide financial assurances to pay all costs to complete the required work. Most importantly, the Consent Decree sets a firm schedule for Arco and MR to build a water treatment facility, and confirms their obligations to operate and maintain the facility – including sludge disposal – in perpetuity. 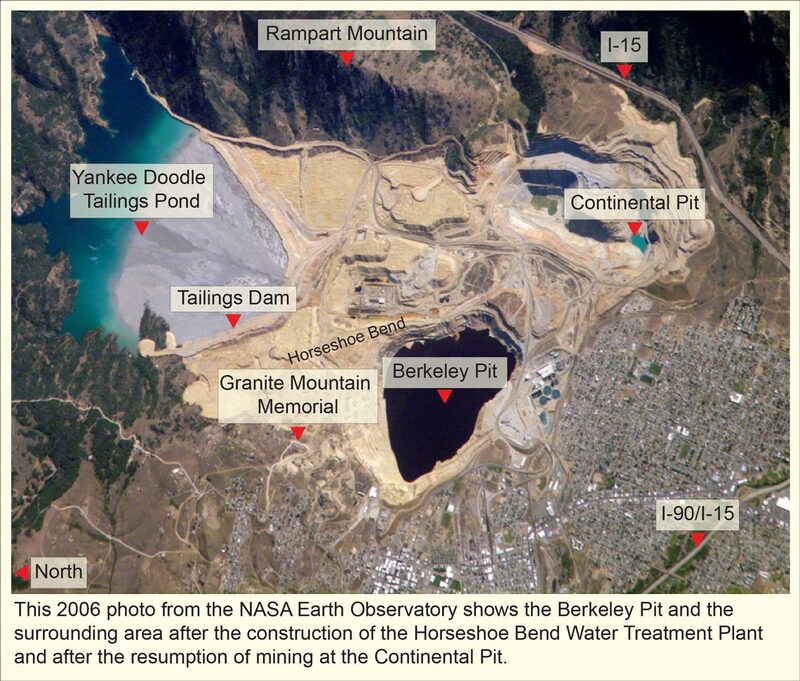 Also included in the Consent Decree are commitments to enhance the waterfowl protection program at the Berkeley Pit, to establish a groundwater control area surrounding the Berkeley, to fund the Montana Bureau of Mines and Geology (through the EPA and DEQ) to continue the mine flooding monitoring program, and to fund public education activities (e.g., PITWATCH). As part of the process, ten changes were made to the Record of Decision (1994). For example, changes were made to recognize new stream and discharge standards for the treated water, to allow Continental Pit water treatment in the Horseshoe Bend plant, and to allow sludge disposal in the Berkeley Pit. Another change eliminates the requirement to reevaluate treatment technologies when the water level in the Pit reaches the 5,260′ level, since the treatment plant will already be built. The Consent Decree also clarifies which cleanup tasks will be done under the Superfund program and which will be done under the State’s active mine permit reclamation program. The Consent Decree was released on March 26, 2002 for public comment until May 4, and is expected to be finalized thereafter. Contact the Committee with any questions.